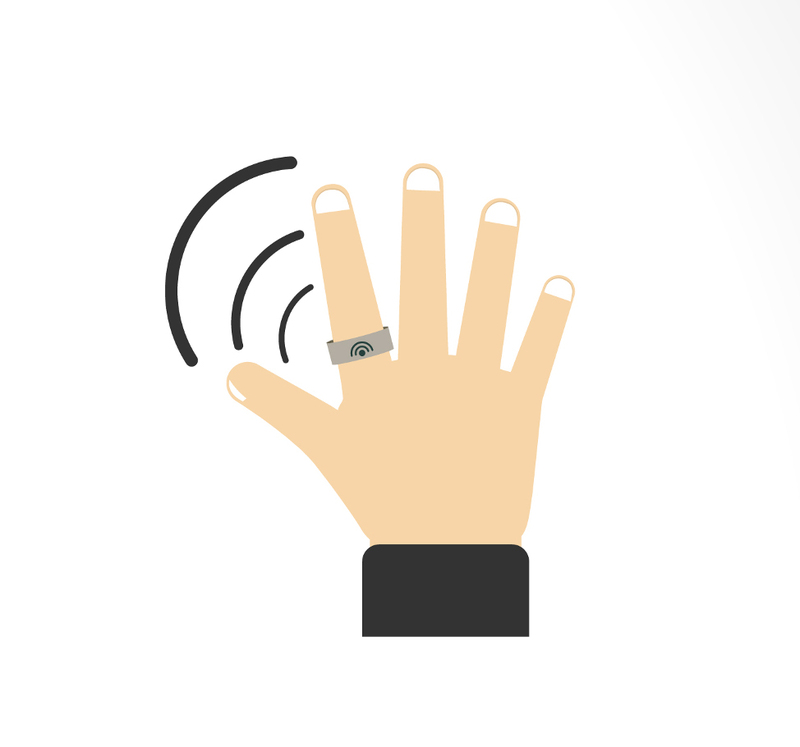 Smart rings or pointing devices literally envision the world at your fingertips. This new incredibly innovative technology allows consumers to control gadgets and other smart devices with gestures. It enables “writing” words in the air and select menu items by tracing fingertip movements. These smart rings could be targeted for consumer and professional applications: simplifying daily use on the one hand or providing 3D interactive workspace functions on the other. They come in different exterior variations, some attempt to be more visually appealing as an adorned jewelry accessory for women, while others take on a more innovative look. Each smart ring also varies in the different functions it provides as well as its sensor capability. Some highlight their ability to function as an accessory to a mobile device by notifying the user of calls, text, emails, social media notifications and the like. Most underline their gesture-based controller capability that performs a variety of actions such as remote touch, hovering, mouse functionality and movement sensing with the motion of a finger. The smart ring can potentially connect to various different electronic devices, whether it be a smartphone, smart TVs, automobiles, home automation devices, smart glasses, tablets or other devices the user wishes to control remotely. Once connected to a device, the gesture controller can conduct various different actions such as controlling music, composing a message, checking the weather and so on. The vision is to bring simplicity with fingertip control. Allowing the user to remain hands-free at all times to conduct daily functions with greater freedom. To create a truly miniature and comfortable smart ring solution, it must be coupled with a seamless wireless charging solution. Humavox’s tiny wireless charging receiver can integrate into the smallest of devices, allowing easy implementation within smart ring and a comfortable charging solution for users. With Humavox’s ETERNA wireless charging platform, the need for a USB port is eliminated altogether, imperative in such a small device and necessary for a much wanted waterproof solution. If you are a smart ring or pointing device OEM and interested in integrating wireless charging into your device in order to provide consumers with an easy and natural charging experience, please feel free to contact us.